The UWF Congratulates Hip-Hop Sensation and UWF "Shot Caller" On His New Deal With Sony/Epic Records. 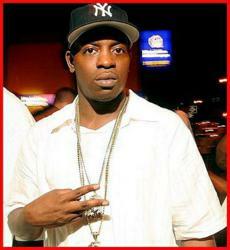 We congratulate Uncle Murda on this latest deal, which will expose his stellar talents to an even wider audience. The Urban Wrestling Federation congratulates hip-hop sensation and UWF “shot caller,” Uncle Murda on his new deal with LA Reid’s Sony/Epic records. The deal announcement was leaked Tuesday via Twitter. Uncle Murda has been with the UWF since it’s premiere event “First Blood” which took place in New York last summer. Murda was the first urban artist to sign with the UWF as a personality and starred in the original launch video, which was shot on the streets of his beloved East New York, Brooklyn. Murda was introduced to Karel and the UWF by Karel associate Tyrone “Big Ty” Tolen, as it was being formed in early 2011. The 5th installment of the UWF, will be “Ruthless Revenge, ” which will premiere nationally on pay-per-view Sunday, March 25th 8pm edt, 5pm pdt with a replay at 11pm edt and 8pm pdt on all national cable and satellite systems. The Urban Wrestling Federation, is a dynamic and exhilarating performance collaboration between the worlds of hip-hop music and professional wrestling. Created by television and live events veteran, Steve Karel, the UWF premiered in the summer of 2011 with “First Blood,” which was filmed at New York’s Hammerstein Ballroom and locations across the country; followed by 4 other installations. Full schedules, additional content, branded clothing and products can be seen at "http://www.UrbanWrestlingFederaton.com"